Have you met Dr. Andrew Cronyn? 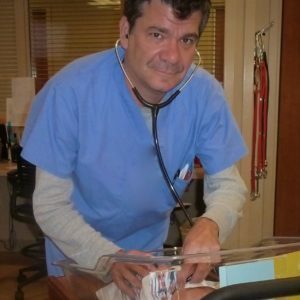 He co-founded El Rio Transgender Pediatric Care Program in Tucson, AZ. Now, Gender Odyssey loves its attendees. We’re pretty fond of our presenters, too! So we’re quite excited when an attendee is so inspired by the conference that they come back as a presenter. And that’s what Dr. Cronyn is doing. This August, Cronyn will present at Gender Odyssey Professional in Seattle. 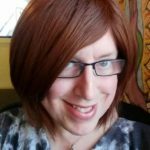 I recently chatted with him about his work with transkids, and how GO has helped him with that. Tell us about El Rio Community Health’s Transgender Pediatric Care Program that you cofounded, and about your work with the transgender and gender-diverse community? 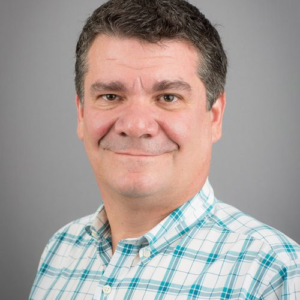 Dr. Andrew Cronyn: About two and a half years ago I was at a point in my career where I wanted to give something back to the LGBTQ community. We sat down with parents of transgender and nonconforming youth in Tucson and said what do you need? What I really learned was, it’s not that hard [to do the right thing for them]. Use the right name, the right gender, don’t constantly talk about body parts. El Rio went through “Transforming Primary Care for LGBTQ People” and I ended up chairing that. We trained every one of our employees on cultural humility and working with LGBTQ patients. Now two and a half years later we have 50 kids, from ages 4 to 19. We have two pediatricians, two nurses, two behavioral health professionals, a whole team of clinical pharmacists. We’re doing blockers and we’re doing hormones, and we’re also doing an awful lot of primary care! You sometimes appeal on behalf of your patients with insurers? We appeal all of them. The most gratifying appeal process I’ve gone through, was a patient who has private insurance. We applied for blockers and were denied. And we appealed. It got denied. They kept changing what they were denying on. I thought, ‘Wow, you haven’t met me yet. I enjoy this.’ The appeal ended up being three inches thick. And the state insurance board finally said this is medically necessary and it must be covered. Is this your first year as a presenter? It’s my first year as a presenter but I can tell you in my initial education Gender Odyssey was the first conference I went to. My first patient was in November; I attended Gender Odyssey Professional the following August. What subject are you presenting this year? What we’re presenting on is our experience of starting this program for transgender youth in a community health center; telling our story and how we did it. Because if we can do it, you can do it too. I really wish all families knew that they could expect more than just the right name, the right gender. I’m more nervous than I’ve been at most of my talks! I’d love to think we have a perfectly smooth ship and it’s going exactly where it should be. I know for a fact people are going to tell us there are things we’re doing wrong. I’m nervous about it, and I also look forward to hearing what it is, so we can shift. So in this political and social climate, where we have unprecedented visibility and a lot of challenges to the trans community, what do you think makes your topic particularly relevant this year? These kids. They have new ways of doing things that are going to shake up the world. The fact that now they are starting younger and younger to be willing to say things that people thought for generations but didn’t say. It’s just changing how we interact as people and it’s so exciting. In the current political climate, working in this sort of medicine is something that gives me hope in rather dark times. It’s gotten me back to my political activist roots as well. What are you hoping attendees take away from your presentation this year? I hope they leave with a roadmap of how to fully incorporate transgender and gender- diverse youth within a primary care practice. And we really want this to be an interactive presentation. We want to hear how other people are doing similar things to what we are. And what are you, personally, hoping to take away from the conference this year? I’m really looking forward to sitting and listening to other people’s experiences. How has your experience of the conference evolved over the years? I came as an attendee and now I’m presenting! I’ve talked about our program at a number of different venues over the last year, and this one means so much to me because it’s talking with experts. — Because the experts on transgender medicine are transgender people. From writing blog posts and press releases, to polishing data to a high shine, Nina Rose is eager to do all she can to make herself useful for her first Gender Odyssey. That is, when she’s not volunteering with Gender Justice League and Washington Won’t Discriminate. She’s part dancer (lapsed), part wordnik, and part gaming geek. And she’s all trans girl, swivel-hipping through transition while she searches for the best way to direct her rediscovered voice. This entry was posted in Blog and tagged Conference, Cronyn, family, genderodyssey, GO2017, providers, Spotlight, Transgender Child, transkids. Bookmark the permalink.